"I want to be that kind of small-town attorney people want to go to anytime they have a problem," said Zachary Wentworth, '06. And having hung his shingle in rural Chenango County - where 50,000 people live in about 900 square miles of rolling hills southeast of Syracuse - Wentworth is building the career he envisioned in a two-man law office. "I always wanted to be an attorney even in high school; it's rare for kids to know what they want to do that young," he said. As an ESF student, Wentworth majored in environmental studies, focusing on the policy planning and law option. "I worked hard on academics while at ESF," he said, noting he took a number of classes that focused on natural resources and law issues and learned about the interplay between different court systems. 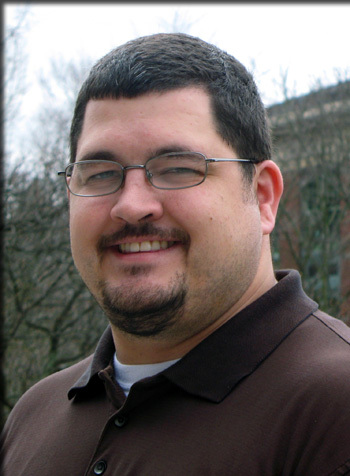 Wentworth attended ESF at a time when ESF students lived in Syracuse University residence halls and he served on the Day Hall executive board, earning the Executive Board Member of the Year Award in 2005. "My time with the Residence Hall Association helped me learn to take different ideas and opinions from other people and put them together," he said. After graduating ESF, he attended the Vermont Law School where he earned his law degree. He took the bar exam in July 2010 and began working in the James Taylor Law Office in Sherburne, about an hour southeast of Syracuse, in November 2012. "I'm lucky to find something available to me right out of law school," he said. A majority of what Wentworth does is general practice law including both family and criminal court cases. He also works in the Chenango County Public Defenders Office but his environmental background also comes into play. "A lot of people come in and talk to us about hydrofracking because that's a big issue in our area," he said. "We try to advise them the best we can but there are many specialized attorneys out there in that area for both sides." Wentworth has also seen clients with concerns about a power line a local company needs to install that would cross private property. "It's no bigger than a regular power line but the line needs to go across private property so people came in to discuss that with us," he said. Wentworth works 20 minutes from his home in South Otselic, and he believes it's important that his clients have someone local with whom they can discuss their concerns. "I think it makes them more comfortable. I know the issues and can understand where they're coming from and where the problem might be. It helps to calm people's nerves." Wentworth recently read an article about the future obsolescence of general practioners as lawyers become more specialized. "That specialization is great in someplace like New York City, but in our area people are looking for one person to handle all their issues and in a small town it's about having those relationships with people. It's not just business. "In a small area like ours, you're not only an attorney, you're almost like a counselor helping people not only with their legal issues but with everyday issues that come up that stem from the legal issues," he said. "I like the fact I'm back in my hometown," he said. "I can see myself there for a long time raising a family and being the kind of small-town attorney people want to go to anytime they have a problem."